For those of you coming to Monterey on business, we know you're busy spending your precious time and energy on work. So don't stress about transportation... let Monterey Airbus carry you to any number of business & conference locations in the area, from the popular Asilomar conference grounds to Monterey conference center and more! Monterey Airbus also has shuttles for office holiday parties and more. Don't want an executive shuttle bus? Convention shuttles are available at Monterey Airbus. 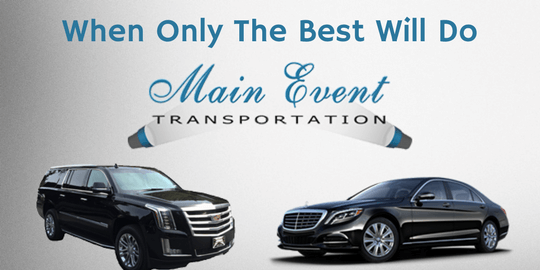 Convention limousines and town cars are also available through Main Event Limousines. Due to the access to great beaches and golfing attractions, Monterey Bay has become a favorite destination for business conferences. Monterey Airbus can provide all your corporate car services or executive shuttle buses throughout Monterery. Our shuttle services work regularly with all the local corporate venues like Asilomar Conference Grounds and the Monterey Conference Center. Book a Monterey Bay convention shuttle for your next business meeting or getaway. Find out more about all of our executive shuttle services. If you have some downtime, check out our list of things to do in Monterey.